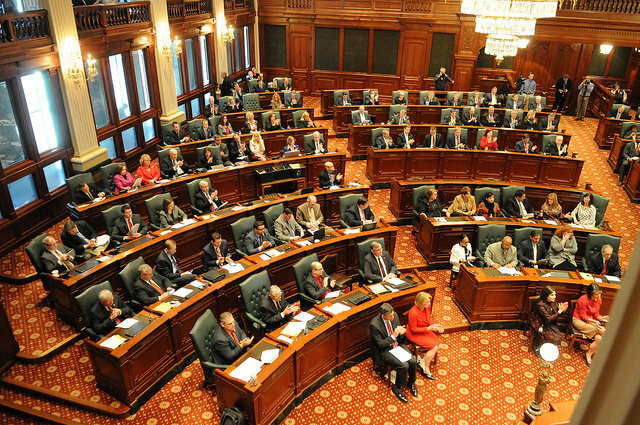 SPRINGFIELD –Assistant Minority Leader Norine Hammond (R-Macomb) challenged leaders controlling the Illinois House to heed the Governor’s and employers’ calls to attract jobs back to Illinois. “For years, I have been pushing for reforms to our worker’s compensation system to attract jobs back to Illinois, local and state government procurement reform to save taxpayer dollars and criminal justice reform to reduce our overstressed prison population. I am pleased to hear Governor Rauner highlight some of these areas that we can address to attract jobs back to our state and operate our government more efficiently,” said Rep. Hammond from Springfield on Wednesday. “I also look forward to working with colleagues to free up resources for Higher Education by extending the Governor the same tools extended to him by the legislature for the FY15 budget fix passed in a bipartisan manner last year. Many of our state colleges and universities are telling us they are close to closing their doors, so restoring resources while also analyzing cost-savings like procurement reform could help from both ends of the problem,” Hammond continued. Hammond encouraged residents of the 93rd district to contact her with questions or concerns on this or any other state issue. Hammond’s Macomb district office can be contacted at (309) 836-2707 and she can be reached via e-mail at rephammond@macomb.com. Constituents can also visit her legislative website at www.norinehammond.orgto sign up for her electronic newsletter. Hammond represents all or part of Brown, Cass, Fulton, Knox, Mason, McDonough, Schuyler, and Warren counties.